Welcome to the start of a journey that will not only test you academically and intellectually, but will nurture you socially and professionally. At Howard University School of Law we understand that true knowledge is not only found in a textbook, but also in the interactions of the different stakeholders of the institution, or as we like to call it, our family. To foster a truly educational environment, we seek to create situations where students, faculty, staff and alumni can share in the value of all that the law school has to offer. You will interact with world renowned practitioners and some of today’s foremost legal scholars while gaining the skills to further make the judicial system more accessible for all. Howard is a national law school that embraces diversity and to exhibit that, we recruit nationally. Howard Law holds the distinction of graduating more African American attorneys than any other law school in the nation. And while we embrace and are poised to remain the flagship in producing attorneys of color, we seek to share the educational experience and riches that this institution has to offer with individuals that represent ethnic and cultural diversity. With a population of approximately 400 students across all classes, we have individuals that represent almost every state in the nation. We have third generation law students and those that will be the first in their family to hold a jurist doctorate. We hope to learn from the experiences of each and everyone that becomes a member of the Howard family. This year many employers expressed a desire to hire students from our on campus recruitment program. As a result our students are employed nationally and internationally in firms, government agencies, non-profits and policy positions. 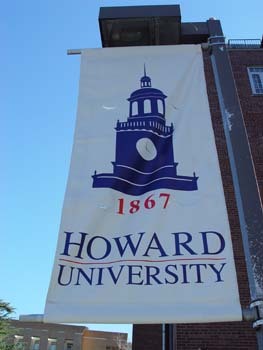 Therefore if opportunity is what you are looking for, it awaits you at Howard. However, more important than any job that you can earn while here at Howard, is the growth that you will experience as you become a social engineer. I distinctly say social engineer because we do not need individuals that want to be just an attorney; there are enough other places for you to study if that is what you are seeking. We need people that understand that whether you go into a courtroom or a boardroom, a government position or a private firm, a non-profit or a think tank, you have the responsibility to make this world a better place. If you want to be considered a legal scholar and command respect in the larger legal community, while embracing the fact that there are many societal battles that need your attention, apply to Howard and let the journey begin.